An exciting post today. I get to share with you some of the frankens that you ladies have created. Seriously, this post has taken FOREVER to put together and it has LOTS of photos, so I hope you like. 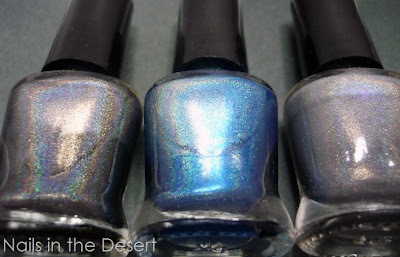 And at the end of the post you can discover who has won the giveaway to receive three Picture Polish shades of their choice!! 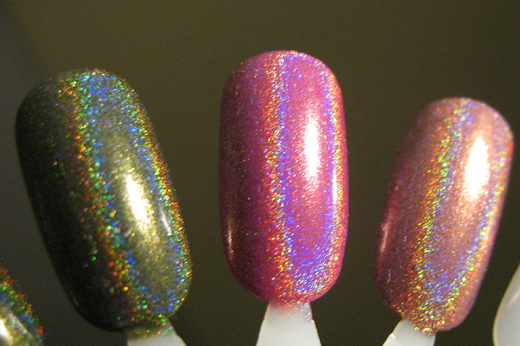 She created some amazing frankens, two using Red to Green pigment and one using 1500-35 spectraflair. She created an absolutely incredible Green holo – made using 1500-35 spectraflair. It's a light green and I think its as good, if not better than Nubar reclaim. She created this perfect blue spectraflair franken. Check her blog for more amazing frankens too. 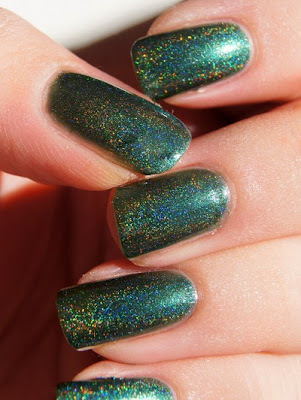 She sent through a photo of a stunning dark green holo. 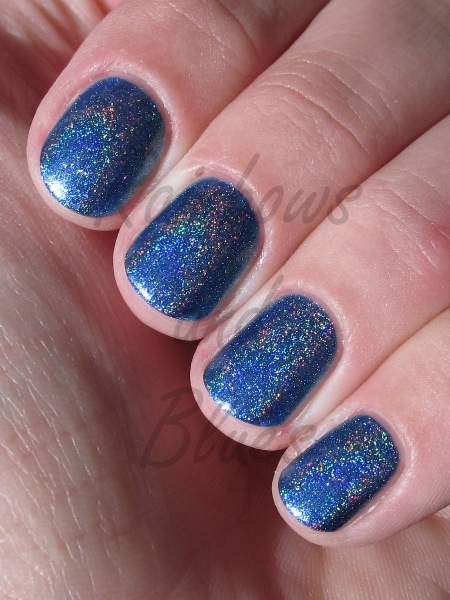 If you haven't already, you must check out her blog where she has awesome photos of other frankens, as well other swatches of many other holo polishes! Her photos are just gorgeous. See her post about it her blog, The Cat's Claws. 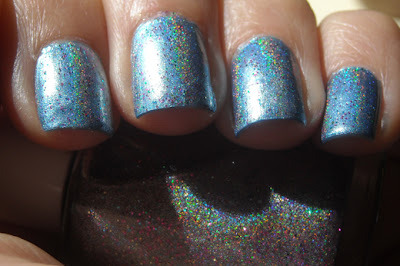 She used ulta3 pink and aqua glitter with coarse grade spectra flair, to make a topcoat for anything. 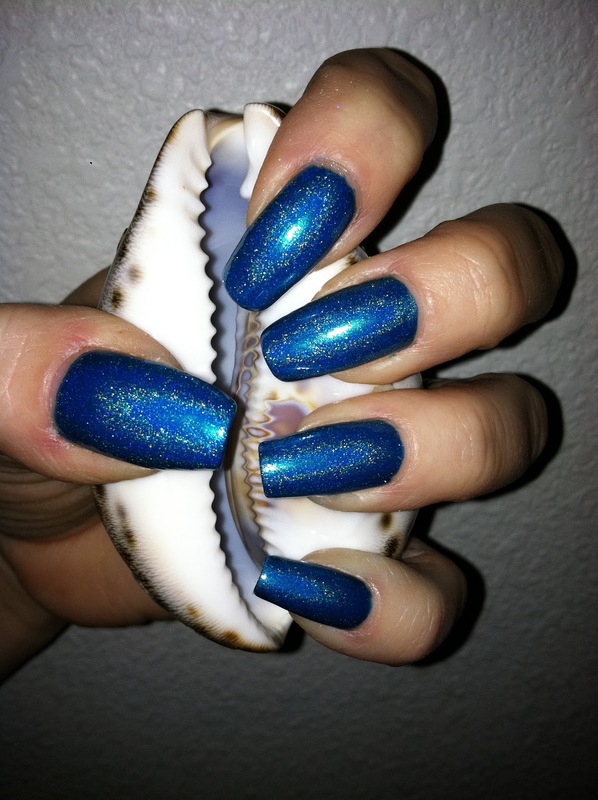 She is wearing it over kleancolor ocean wave #115. 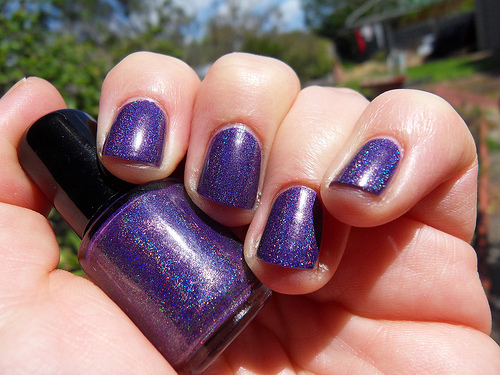 You seriously must check her flickr page for lots more frankens and awesome swatches of other polishes. She named the green because Beryl is the kind of gemstone that Emeralds are. Gorgeous right! 'Blackcurrant Schnapps' is a purple, made from the dark purple Australis Polish Pot from their gift with purchase set that they had at priceline recently. She named this one as a tribute to Hits Dionisio, the god of wine. 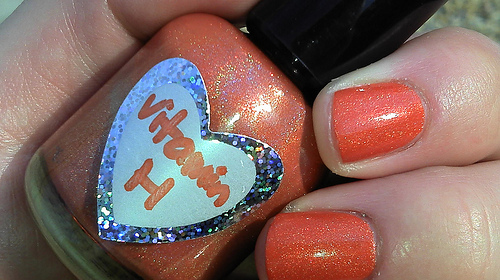 'Vitamin H' is an orange, made mostly from Rimmel Pop, with Rimmel Tangerine Queen and Ulta3 Fire. 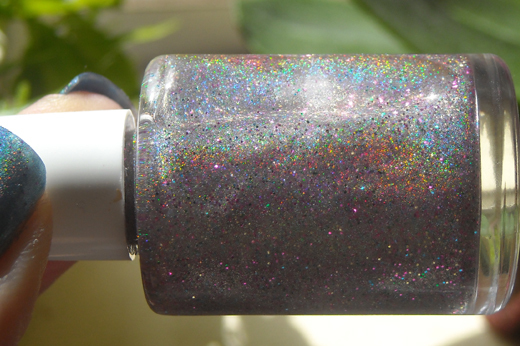 This one is called Vitamin H cause it's like vitamin C but as a holo... :) OMG I love it. I think everyone needs a dose of Vitamin H every day!! Check out these amazing swatches of all the polishes Kerstin created. 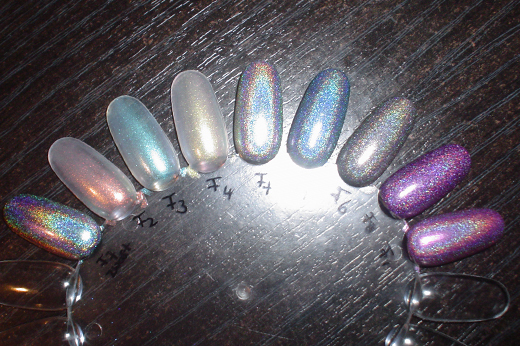 She made spectrafrankens and colour morphing top coats! F9- OPI Glacier bay blues, OPI Yoga ta get this blues, KOH Navy!, 8 drops of Nubar Peacock Feathers, spectraflair, some GreenBlue pigment. 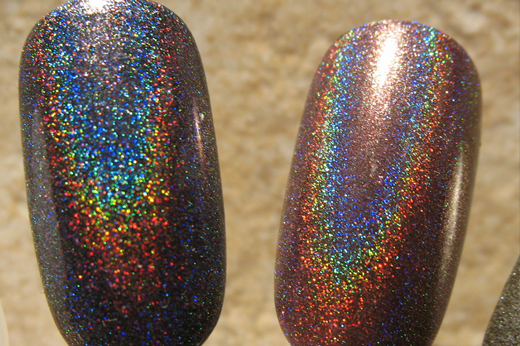 Coppery Coral Holo made with 1500-35 Spectrflair. 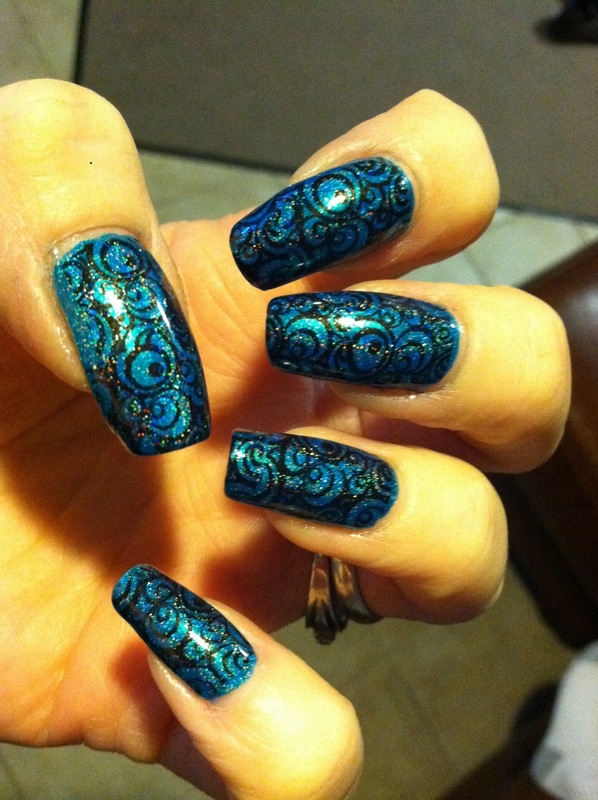 She was was thinking of the American copper penny when doing this polish. She used an old metallic copper Revlon, a no name metallic gold and a bright almost neon orange by Orly called Terracotta, plus clear, thinner and spectraflair. Fantastic result!! 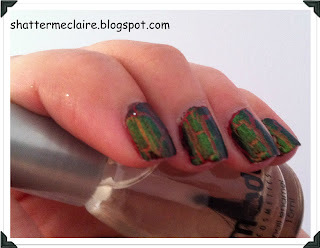 Jess created an amazing franken with the Red to green pigment and her photos of it are just awesome. She managed to capture both the red and green on the nail. I've only included one photo here, so you just must check her blog to see more amazing photos of her red to green colour morphing franken. 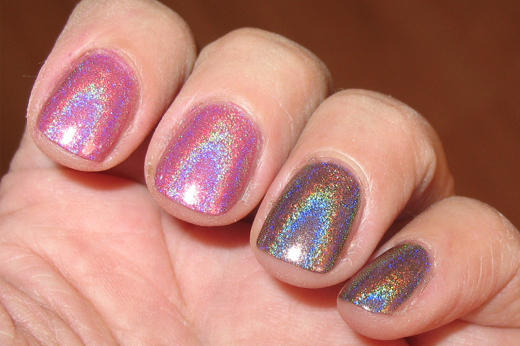 HoneyJr sent through lots of photos of her amazing spectrafrankens - she totally holo spammed me, it was awesome!!. Here is a selection of what she created. I'm in love with the browny plum looking one on the first pic of her nails. Georgous. 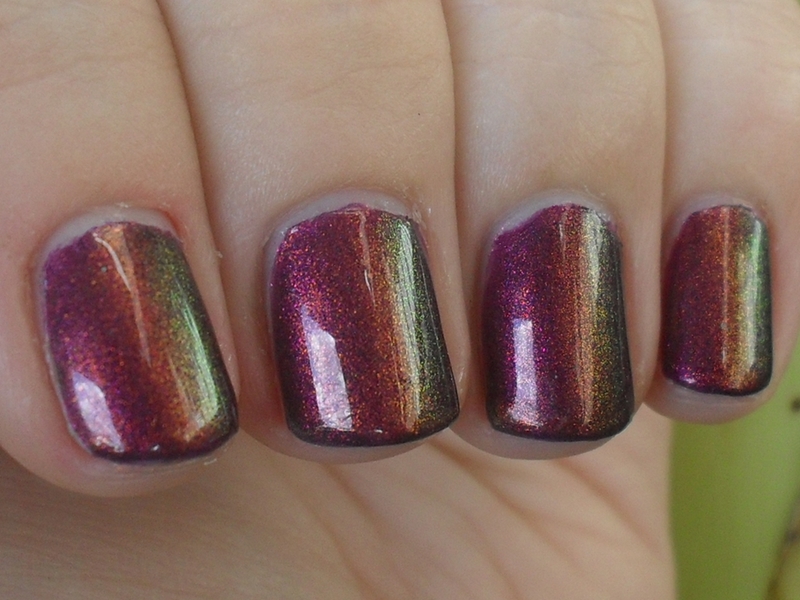 Em went a little crazy with the spectraflair and made a whole heap of terrific polishes. 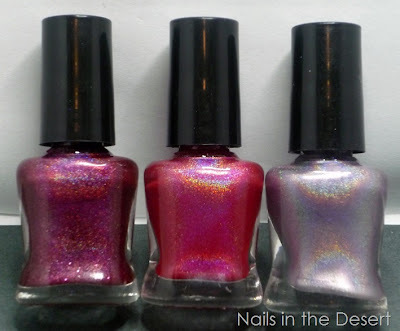 I've provided the bottle shots, so you will have to click through to her blog to see each of these on the nail. I love some of the names she came up with for these. Actually that is one of the best things about franking, being able to given them cool names. Bump in the Night, Blue Lagoon, Janie's Got a Gun. And her first spectrfranken - Hot Stuff. 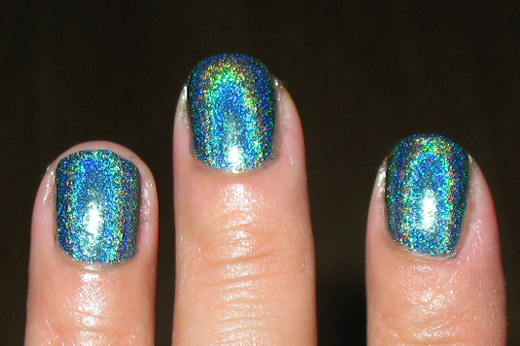 She used Picture Polish Denim as a base and it turned out like a CG 2NITE dupe!! I am totally going to make this one!! Of course she had a week with no sun, so we can't see the real holo effect. But I can just imagine how awesome this will look. First of all, Tara came up with a new name for spectrafrankens. We all started off calling them "Spectraflair Frankens", then it was Alexandra RC who suggested "Spectrafrankens", now Tara has it down to "Sprankens" I LOVE IT. They are totally going to be Sprankens from me for now on. Anyway, Tara created this amazing charcoal spranken. Check out her other pictures of it on her blog post about it. Monica did skittles using all the colour morphing powders and a spranken. These all look amazing. 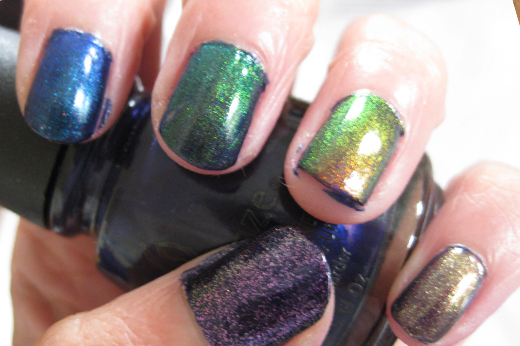 Great photos as you can see both the colours in the shift on the nail. Marta from her blog that is in Portuguese and I don't know that it is called. Marta made color morphing top coats, but it's the photos of her creating them that you have to check out. It is so cute seeing her sit there with her glasses and mask etc. But she made magic in a bottle and took fantastic photos too. 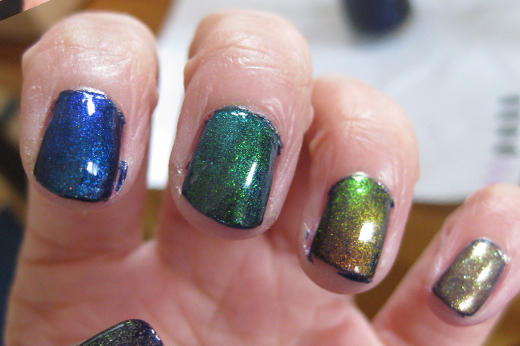 Minta made both a Spranken and a color morphing top coat that she layered with an orange glitter. Freaking gorgeous! She has lots more pictures on her blog and some other frankens too. Marnie created a couple of beautiful sprankens. 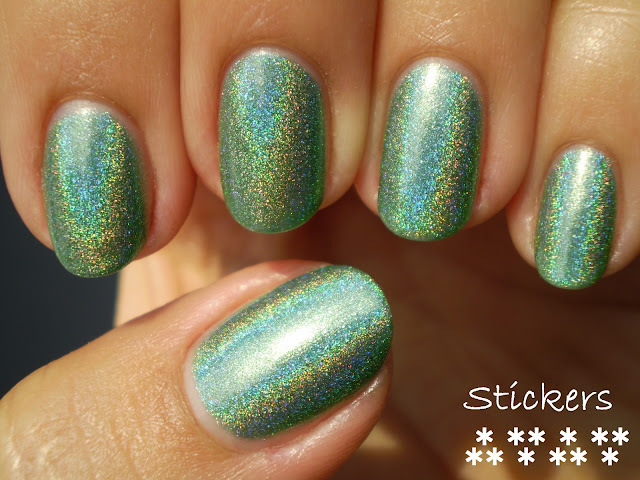 Her flickr account also has swatches of other holos which look amazing on her long nails! Claire did some of the most innovative stuff with the pigments. 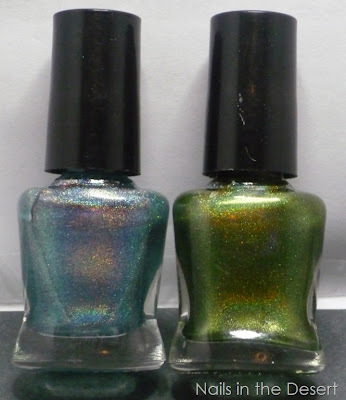 These two examples I chosen from her "Franken week" show where she mixed colour morphing powder with a multichrome polish (and got a much nicer result that I did when I tried) and also a colour morphing crackle polish!!! Hell yeah! Check our her blog to see the other things she created. So that's it. You made it to the end. I hope you're inspired by some of the ladies efforts. I have been. As soon as the next batch of colour morphings arrive (should be this week) I'm doing some new frankens that aren't top coats. And now for the drawing of the winner of the three Picture Polish shades. As there was only 19 ladies who emailed me, I decided to do the drawing the old school way - print out your names and draw one out. I took a video of the drawing, which you will have to watch to see if you're the winner, cause I haven't emailed you yet as I want you to feel the suspense of the whole draw. One in 19, they're pretty good odds! 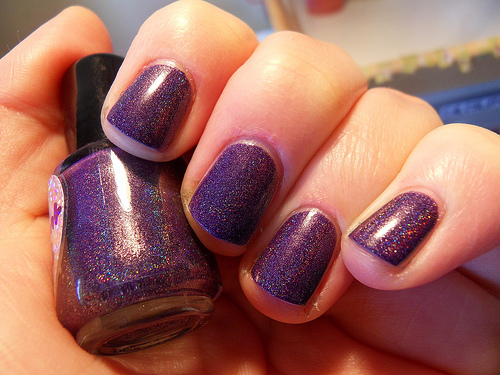 Oh, and in case your wondering, in the video I'm wearing BYS Hocus Pocus. Teal nails, as per Scrangie's post. Great post! I'm going to have to get visiting blogs now as I feel inspired. These look great! Awesome, awesome, awesome frankening from everyone! WOW what amazing things you all came up with. Thanks Kitties for taking so much care in sharing everyone's background like this. Now I want some changing color powder!! Iiiiih! I won!!! I won!!! Yay!!! These are gorgeous! Thank you for piling them up for us and linking! Holy cats! 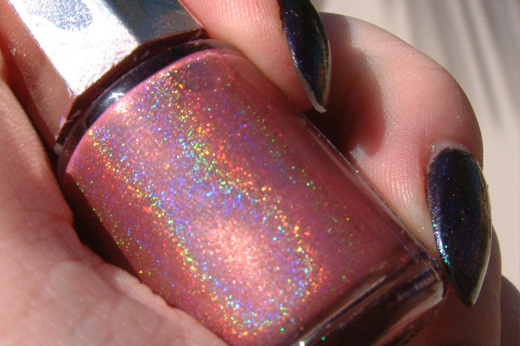 Holo heaven. I am in it. :D There are some wonderfully creative polish addicts out there and I really enjoyed seeing their beautiful creations. So much eye candy! They were all awesome. I especially love Vitamin H. :) All about oranges recently. Pooey! I forgot to enter lol! Nevermind. Wow there are some fantastic frankens. Lots of inspration! Well done ladies and congrats to the winner. Great post and thanks for including me! I'm glad for the winner as I really like her teal franken. Thanks for sharing all of you. And congratulations, Sminkan!! Amazing spectrafrankens. 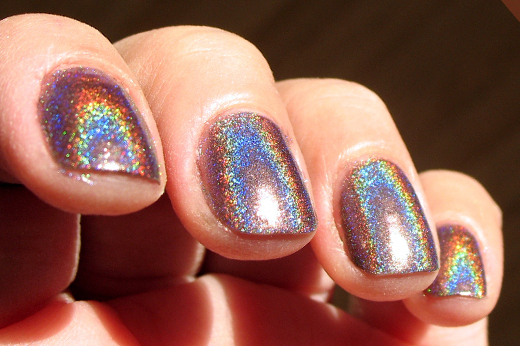 I can't get mine to look so holo. Not sure what I'm doing wrong.